CF325X HP M806 Toner (HP CF325X) - Compatible with HP LaserJet Enterprise Flow M806 M806N M806DN M806X M806X+ M830 M830Z NFC Printers. (HP 25X) Remanufactured. 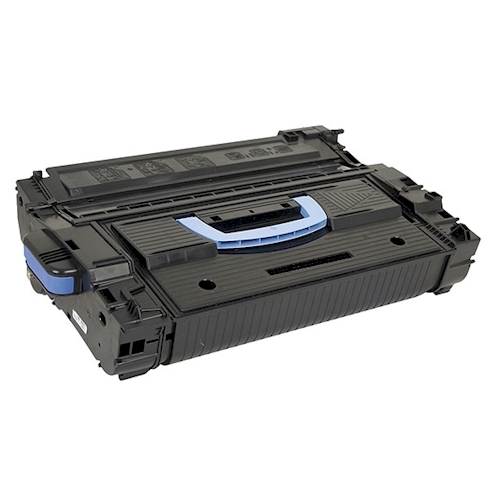 34,500 Yield, High Capacity Black Toner Cartridge. This HP CF325X toner is designed to meet business printing demands and deliver professional results with the HP M806 and M830 Series Printers. This HP 25X toner is an all-in-one cartridge, and is easy to install and maintain. This HP M830 cartridge yields 34,500 pages at 5% coverage. Compatible with Cartridges: CF325X, 25X. Page Yield: 34,500 @ 5% coverage.